I am not someone who often follows my own advice. It’s not that I don’t think it’s a good idea, it’s just that somehow I don’t find the time. Especially when it comes to organization. I ADORE organization. I love reading books on it, buying new office supplies, and observing how other people organize their lives. But somehow, I feel (and often look) like the most disorganized person I know. But today, my friends, I followed my own advice. Since Half-Pint is less than two weeks away, today was the day that I went into the basement and found the boxes that hold the clothing I’ve got stored for the kids. 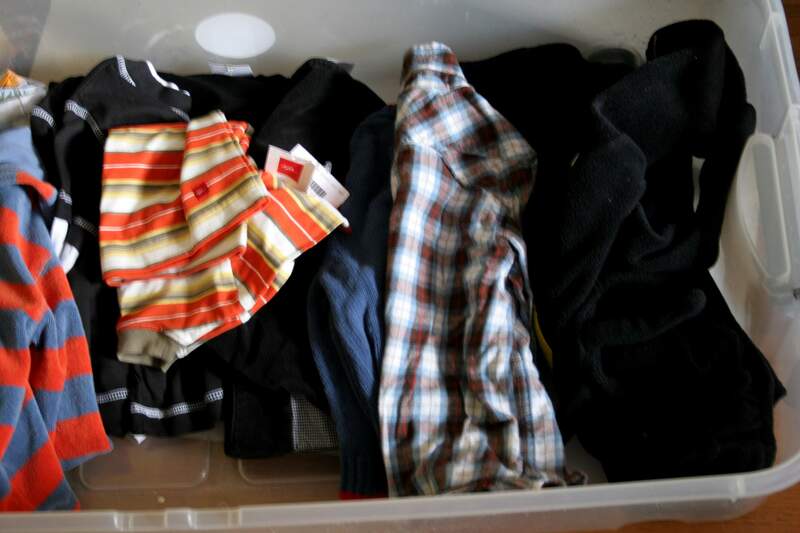 Each kid has a box filled with the next size up – even the oldest, as I often buy things at thrift stores, on clearance, and at Half-Pint that are such good deals that they are worth storing for a year (or more). Plus, this helps me not have to buy Quite so much all at once when I realize that my child has grown into a whole new size in a matter of weeks. I dug through all of the clothes, brought clothes that will be good for fall and winter (and even stuff just a little big but that will probably fit in a few months) all upstairs to their bedroom. I then storted through all of the stuff that is already up there and is too small or is for super hot days (since they are long gone, and surely they won’t fit next year). Everything went into piles, bins, etc. 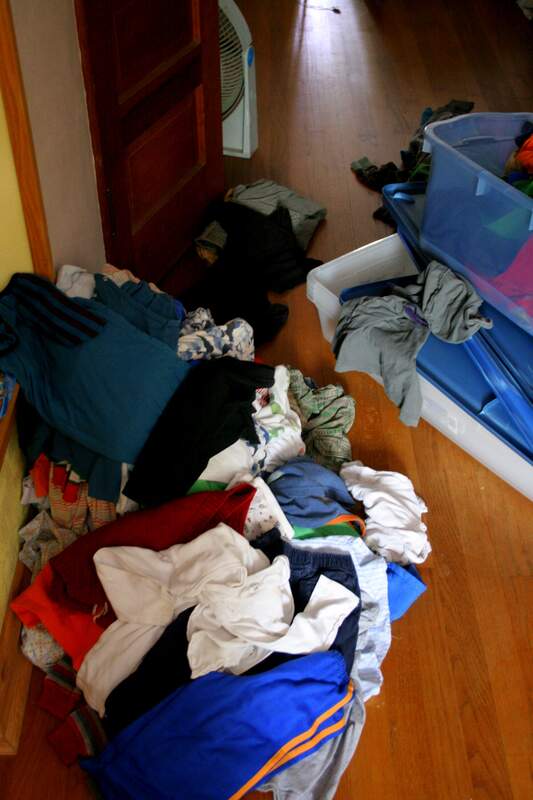 Clothes for this season were sorted and hung up in the kids closet and folded in their bins. 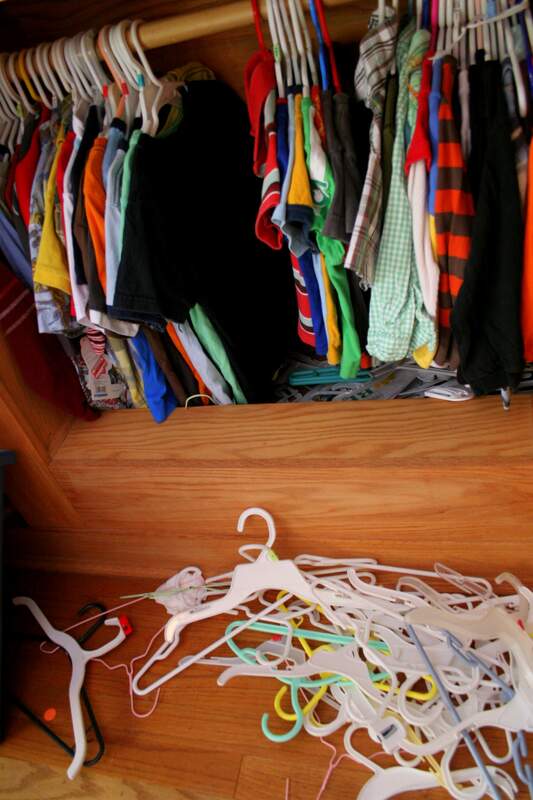 An organized Closet. Look closely, it only happens twice a year. 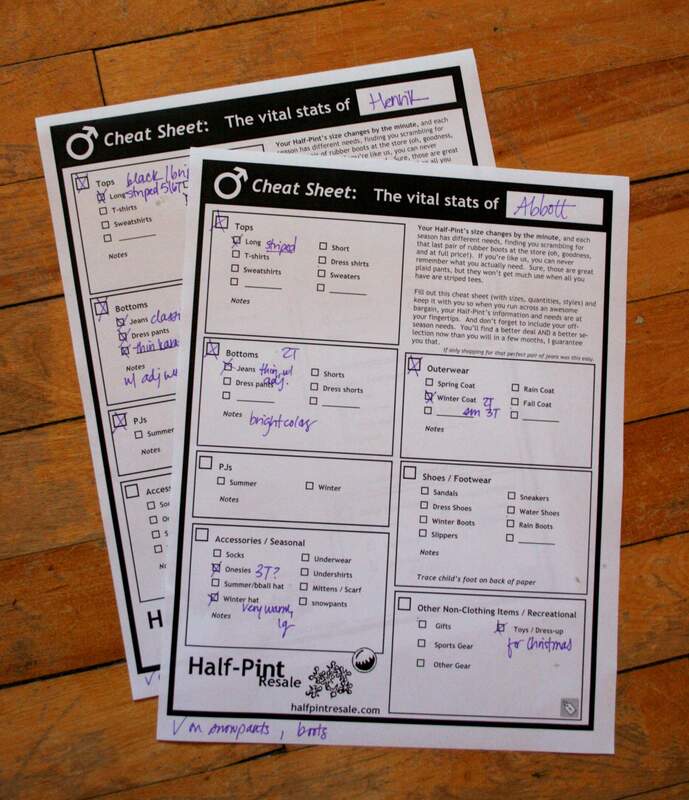 I then printed out our printable vital stats sheets and filled them out. Splendid! Next step will be for later this week, when I sort through all of the bins and figure out what I can sell this sale, what has to wait till spring, what should be saved for my youngest, and what needs to find a place in the circular file. Then Friday, I’m attending a Half-Pint Tagging party where I’ll bring my bins, ready to hang and pin. Does anyone else find this time of year stressful? Kids growing out of clothing, change of seasons, switching everything over. I feel like I just did it yesterday. Anyone have any advice on how to manage it all?